Vacation Rentals & Holiday Rentals in France : House Souillac. 1000gites.com vous propose des rentals de vacances Souillac avec photos, disponibilités et descriptifs détaillés. 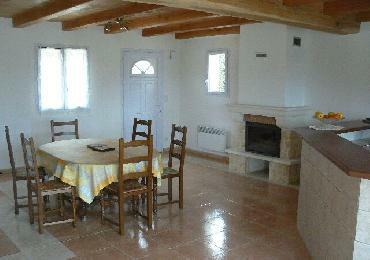 House in a property in countryside with 3 bedrooms, dining room, living room, open-plan kitchen, 1 bathroom, 2 WC. Pets allowed. Spend your vacation in Lot and enjoy the charms of the region: canoeing, water park, caves Padirac, Rocamadour, and the local cuisine. For your stay, we offer a new home with bicycles available. Altitude 200m.